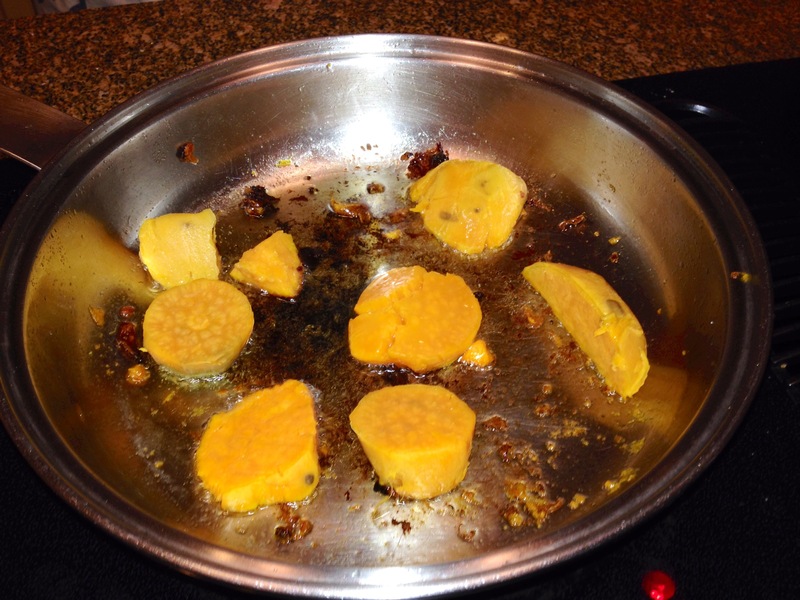 In a large pot, boil sweet potatoes until just tender. Allow slices to cool completely. Then press them between 2 pieces of parchment paper or foil, working in batches, so the slices flatten slightly and the edges spread. This can be done up to 2 days ahead of time. To finish, fill a deep skillet with an inch of canola oil and heat until shimmering. 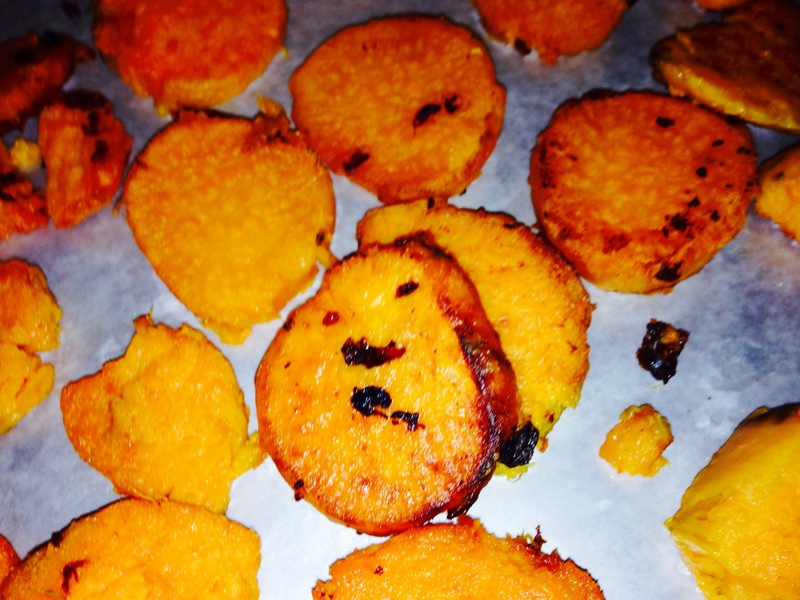 Fry sweet potatoes for about 4 minutes on each side, or until browned and crispy. Drain on paper towels, and season generously with salt. Heat skillet over medium and render bacon until almost crispy. 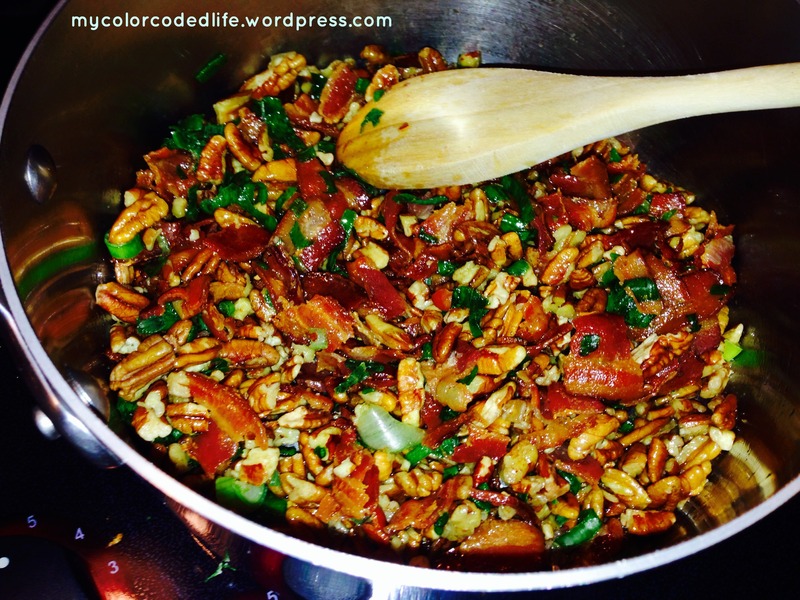 Add pecans and scallions, and toast for 1 minute. Add remaining ingredients. Simmer until mixture has reduced by one – third whisk in butter just before serving. 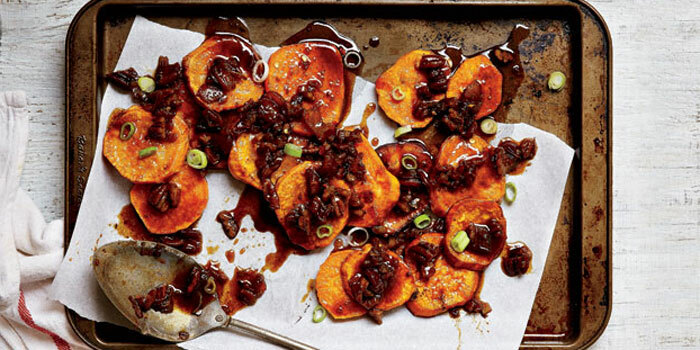 To serve, stack sweet potatoes, top with syrup, and garnish with sliced scallions. Here is the scrapbook page I designed for this recipe. 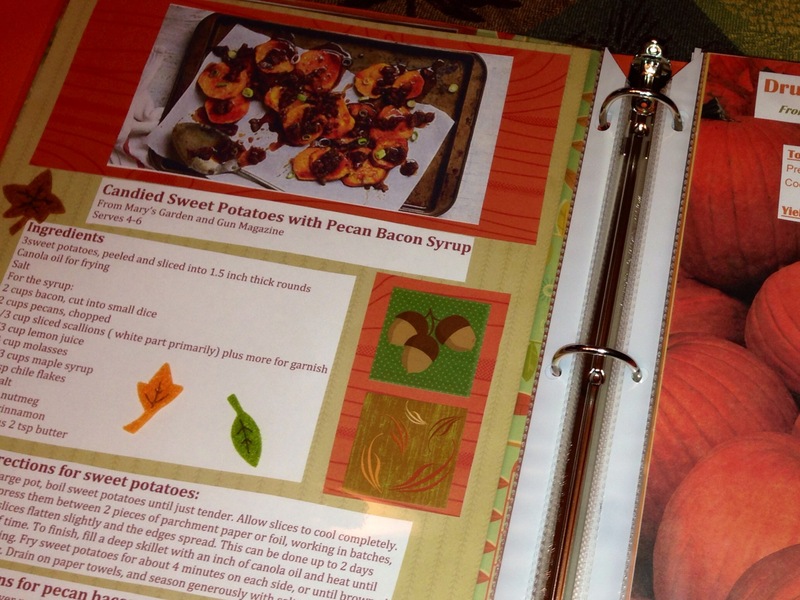 Read here to learn about our Family Cookbook Scrapbook. 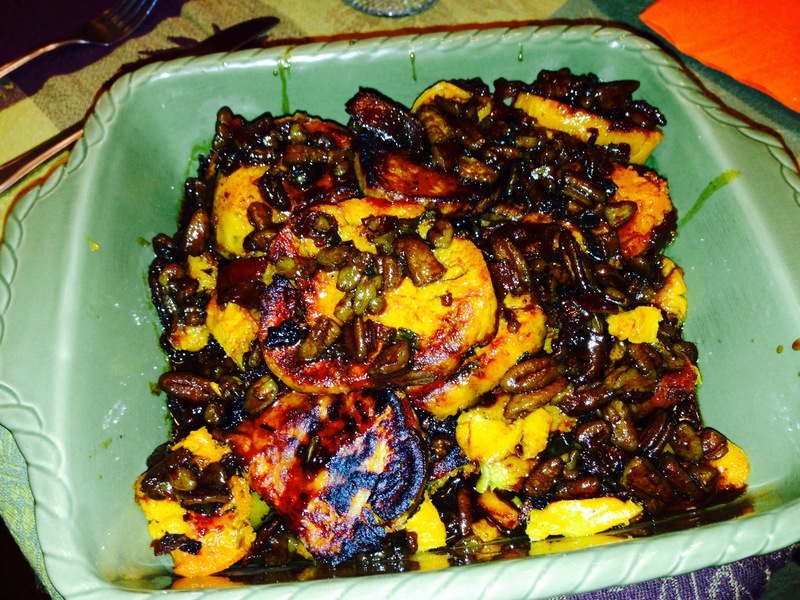 Hope you enjoy this recipe. Thanks for reading.